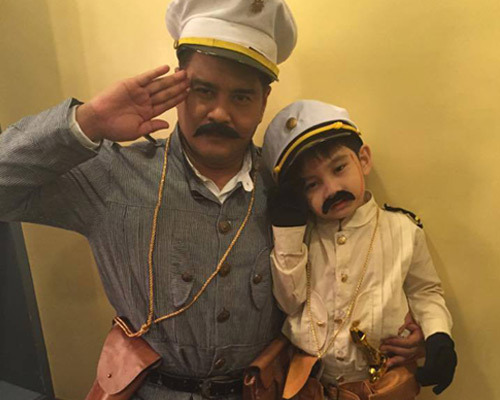 More Halloween costume pegs: AlDub, De Explorer Sisters, The Heneral Luna cast, etc. Need a no-brainer costume? 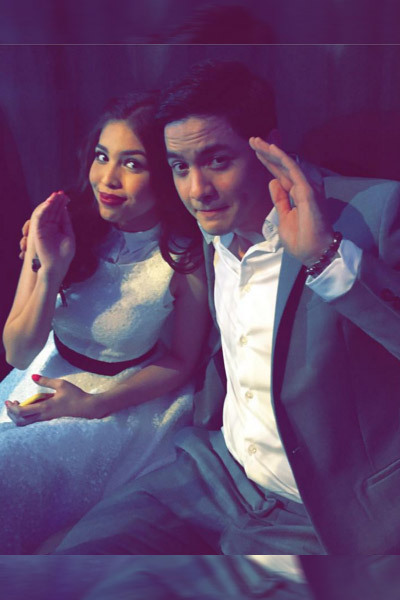 No shame in attending the party as AlDub, easily the most recognizable and simplest costume to wear. Need more ideas to pull off your Halloween #OOTD? Earlier this week, PEP.ph (Philippine Entertainment Portal) showed costume pegs from the stars' previous Halloween celebrations. READ: Halloween costume ideas from James Reid, Marian Rivera, Dingdong Dantes, Dabarkads, and more! This time, we give you ideas that are more relevant and so Pinoy! If you want to go simple, the sneakiest way to pull this off is to go as Alden Richards and Maine Mendoza. Don't underestimate the impact of the AlDub tandem. Check out how Spot.ph pulls off the look (and many other clever pegs)! Yes, the pabebe wave completes the whole look. Do you and your friends like matching costumes? Why not try going as the wacky triplets, De Explorer Sisters? Go intense with make-up (especially the eyebrows), and color coordinate your dresses a la Lola Nidora, Lola Tinidora and Lola Tidora. Make sure you guys top it off with hats. One of the best things about attending parties is glamming yourself up. Why not wear an all-white attire? Try going to the party as Amor Powers, then invite your fashion-forward best friend with you. She can be the Claudia Buenavista. By the way, make a grand entrance, okay? Halloween fashion showdown? Why not? Another idea is suiting up for Inang Bayan a la Antonio Luna. Don't forget the general's famous moustache. LAST-MINUTE COSTUME PEGS. Some celebrity Instagram posts can serve as inspiration for an easy-to-achieve party costume. Certified Arianator: Yassi Pressman, along with other stars like Alex Gonzaga, Liza Sobreano, and Kathryn Bernardo love to doll themselves up as Ariana Grande. Moonwalker: If there's one song bound to be part of the Halloween playlist, it's Michael Jackson's "Thriller." So why not pay tribute to the King of Pop the way Enchong Dee does? Zombie look: Speaking of "Thriller," the classic zombie look is always a hit. Fake blood, white face paint, tatterred clothes, and you're ready! Remember the Got to Believe cast? Gothic look: Nadine Lustre's birthday falls on the eve of Halloween. This is why her birthday party last year also served as a Halloween celebration. She achieved the goth-rockstar look effortlessly. Classic bad boy: The greaser style is back. This '50s inspired look is also a quick fix for anyone who wants to look extra handsome for the party. Think James Reid in slick-back hair and leather jacket. "Batang '90s":The most amusing way to be comfortable in a party is to bring out the 90's kid in you, and wear your best impression of a retro fashion style. Magalona brothers Frank and Elmo sure gave an adorable throwback in this photo posted by their sister Maxene.